The Russian public chamber has proposed a nationwide program in which civil servants, politicians and even civil activists undergo universal polygraph tests to detect and purge those previously engaged in corruption schemes. “We propose that these tests are taken by all candidates for positions in the civil service before they are officially employed and also by any public figures,” deputy head of the Public Chamber’s commission for public control and expertise, Dmitry Galochkin, said in comments with the Nezavisimaya Gazeta newspaper. He noted that this also applied to all Lower House MPs. However, currently polygraph tests are strictly voluntary, partly because Russian law does not contain any regulations concerning this procedure. To correct this, the Public Chamber intends to prepare some legislative basis surrounding polygraph tests and cases when they can be used. After these bills are prepared and drafted, the activists intend to promote universal and systematic checks. Galochkin said that particular proposals would be forwarded to the Presidential Administration by September. The document will include an approximate list of questions to be used in tests. The sponsors emphasized that these questions would only concern the professional activities of those undergoing tests and not their personal life or, for example, religious views. Another important part of the plan is that the specialists who run the tests don’t know in advance who they are testing, in order to prevent corruption in the polygraph system. 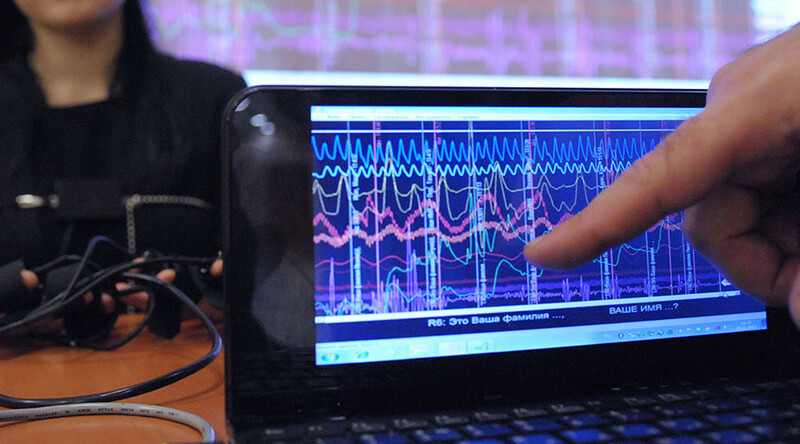 The head of the “National Polygraph Collegium”, NCO Yulia Drobyazka, told reporters that the effectiveness of polygraph or lie detector tests has been proven in numerous experiments and these devices are widely used by private security organizations. Polygraph tests were broadly used in Russia during the police reform that took place in 2011-2012. Back then, the Interior Ministry issued an order stipulating that anyone who wanted to join the police should undergo a lie detector test for illegal drug use and alcohol abuse. The tests were done with the candidates’ written consent, and submitted together with their requests to join the police force. The results of the test were considered by the psychological selection commission that either approved the candidates or barred them from further testing. To rule out technical mistakes the rejected candidates were allowed to appeal the commission’s decisions.